The start of a new project is always fun. You get to choose the perfect pattern, you find the right yarn, and you cast on, but before you do that, every good knitter knows you should knit your gauge swatch. Knitting a gauge swatch may be one of my least favourite parts of any project, and I’ve been known to knit a ‘cheaters swatch’ where I cast on some stitches, knit a few rows, then use my ruler and see how close I am. Bad knitter. Bad. The purpose of knitting the (dreaded) gauge swatch is to see how your knitting measures up to what is recommended for the project. If the designer says 32 sts and 46 rows equals 4” on 3mm needles and your swatch isn’t close to this, then you’re finished object may not resemble what the pattern says it will. Gauge is a very important part of any project, as tedious as I may personally find it. I’m not going to outline the steps to knitting a gauge swatch because I won’t be able to do as good of a job as the fine folks over at Knitty did. This article is a fantastic breakdown of Swatching 101 – how to swatch, why swatching, and everything else in between. I was feeling like a top-notch knitter last night when I grabbed the yarn I needed to make my Madewell sweater and I knit a proper gauge swatch. 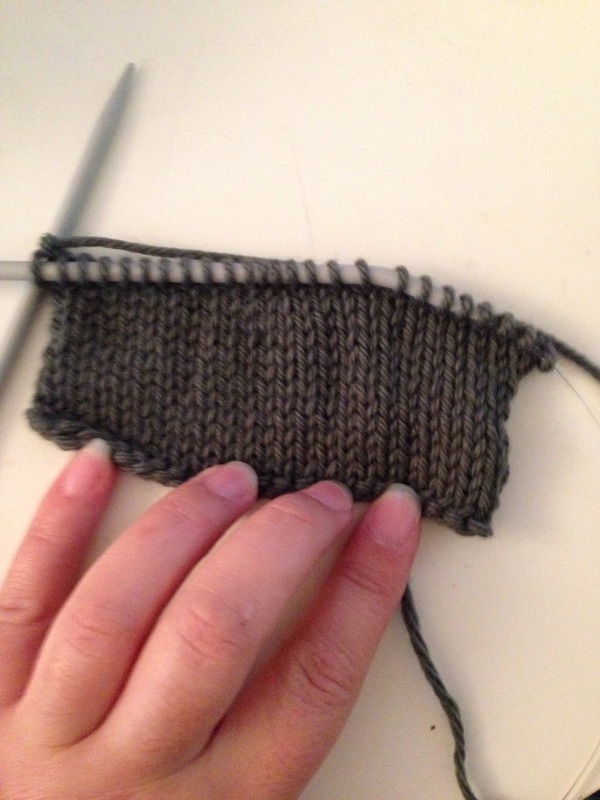 I knit the required stitches for the requiored amount of rows; I cast off, washed and blocked the swatch. I think I deserve a gold sticker or something. Is that a thing? Stickers as rewards for good knitting habits? 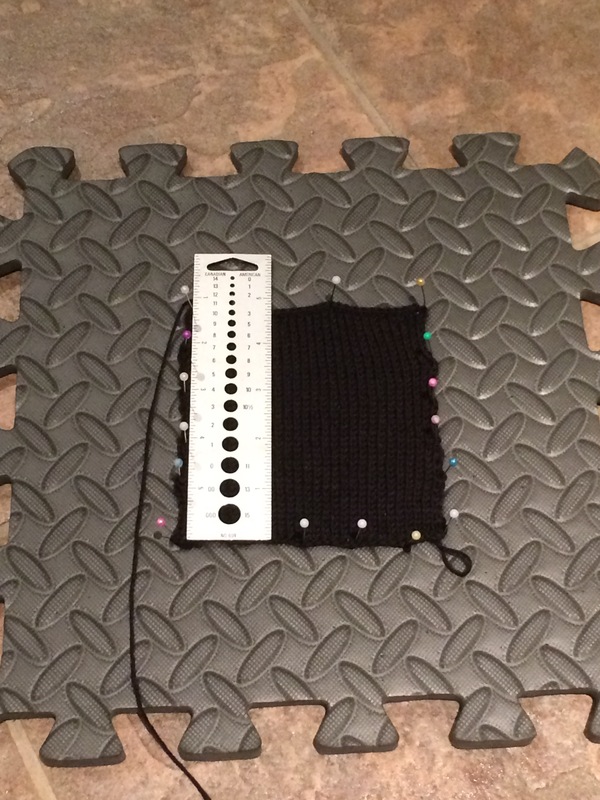 Do you knit your gauge swatch faithfully every time? Do you knit what I call a cheater’s swatch (by knitting only for a few rows until you’ve got a good enough picture), or do you take caution to the wind and start without knitting a gauge swatch?